The Government has today (1st December) launched the Help to Buy ISA, which aims to help first-time buyers save towards the deposit on their home. First-timers can make an initial investment of up to £1,000, and thereafter save up to £200 a month in a Help to Buy ISA. The Government will boost those savings by 25% - an extra £50 for every £200 you save. In fact, when the time comes to use the ISA to help buy your new home, you could end up receiving a maximum of £3,000 from the Government to help you buy your dream property! The bonus will be available on homes up to £250,000 (£450,000 in London) and can be used to buy all types of property. And you could combine the ISA with the Help to Buy Equity scheme, where you need just a 5% deposit, to make that move into your brand new Bovis Home even more affordable. When you're ready to buy, you will receive your bonus based on your savings via your solicitor. 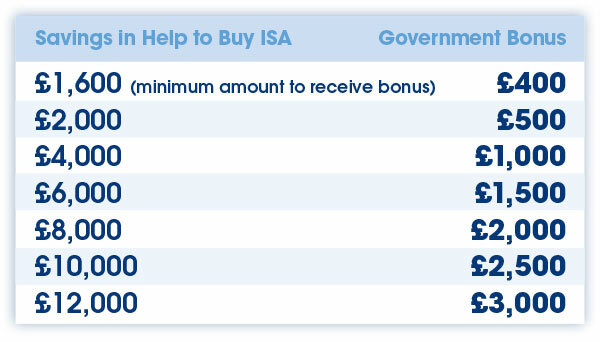 If you decide not to buy a property, you can take the money out of your Help to Buy ISA at any time, but you will not receive the Government bonus. Help to Buy ISAs are for individuals, not couples, which means if you're buying with another first-timer, you can both open and pay into a Help to Buy ISA, meaning a possible joint bonus of up to £6,000. We recommended you seek independent financial advice when considering Help to Buy ISA.